Home Company Showcase Company Showcase: BETA Biomed Services, Inc. 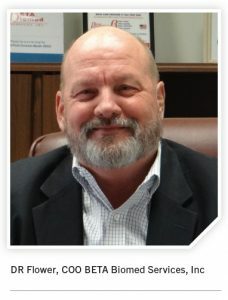 In 1996 George Worley, his wife, Marie, and their daughter, Deidra, founded BETA Biomed Services, Inc. George was an experienced electrical engineer with many years of medical device manufacturing and sales under his belt. He was involved in the early days of biomedical engineering. He served on numerous new product committees that have brought about the development of products such as the demand pacemaker, micro oximeter, invivo oximeter, heart lung oxygenator, portable defibrillator, fiber optic diagnostic instruments, diagnostic cardiac catheters and cardiac output computer. It was his understanding of these and other medical devices that led him into the new field of pulse oximetry in the early 1980s. He has a number of patents on emerging technology in pulse oximetry. We interviewed BETA Biomed Services Inc. COO DR Flower to find out more about the company and what we can expect in 2018 and beyond. Q: What are some advantages that your company has over the competition? Flower: BETA Biomed Services Inc. is a small, minority/woman-owned private company that can react quickly to the market’s needs. 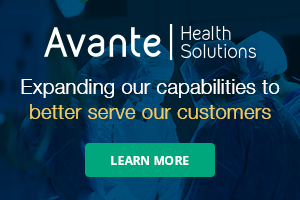 While many companies try to be all things to all people, we are a patient cable house focused on cables for the different monitors in the hospital and clinical environment. Not only can we replace patient cables, we have the ability to repair them as well. If a hospital has a monitor that has a broken cable, it is of no use to them. There may not be anything in the capital equipment budget for new purchases, but there will be money for a repair to keep the monitor up and running. This can also be a money saver. We are the manufacturer, not a third party bringing in the cable from overseas. This gives us the advantage of being able to respond to custom requests and make timely deliveries. Q: What are some challenges that your company faced last year? Flower: The number one challenge continues to be overseas competition, especially the influx of Asian products. However, we have maintained and, in some instances, grown our business due to the quality of our products and repairs. Q: Can you explain your company’s core competencies? Flower: As I mentioned, we are a patient cable house and focus our efforts there. It is this attention to detail and our laser focus on cables that allow us to be the premier cable manufacturer in the industry. We offer special, custom cables to all hospitals, including those with a special need. Q: What product or service that your company offers are you most excited about right now? Flower: We are in the process of helping to open a cable manufacturing facility in Africa that will provide a whole new avenue for hospitals to utilize new and innovative cables in that region of the world. Q: What is on the horizon for your company? Flower: We are always looking to help companies with their cable needs. We do a number of private labeling and contract manufacturing for different companies in the industry. This allows us a broad range of designs that we can offer to the medical industry. There are a few more on the horizon. Q: Can you share a success story with our readers – one time that you “saved the day” for a customer? Flower: We have several instances where we have stepped in to help. Oftentimes, a customer that is either ordering a new cable will need it as soon as the next day or a customer may have sent in some repairs that they need back immediately. Not all hospitals have spare cables lying around. We always do our very best to make sure that we provide a quick turnaround for our customers. Recently, our state was hit by a hurricane and we had several hospitals and distributors that were either without power and/or flooded. They were in need of product and we were able to help them. It was a very difficult time for everyone involved and we managed to help by finding ways to make the logistics work. Q: Can you describe your company’s facility? Flower: We have a 5,000-square-foot facility centrally located near Dallas in Rowlett, Texas. Half of our space is dedicated to production and repair operations while the other half houses the administration. Q Can you tell me about your employees? Flower: Each of our employees is special in their own right. Our least-tenured employee has been with us three years and he came on as a side job while going to college. While we always encourage our employees to do whatever they can to further themselves, we would love to keep this employee. We want to keep them all, they are integral to our success. Q: What is most important to you about the way you do business? 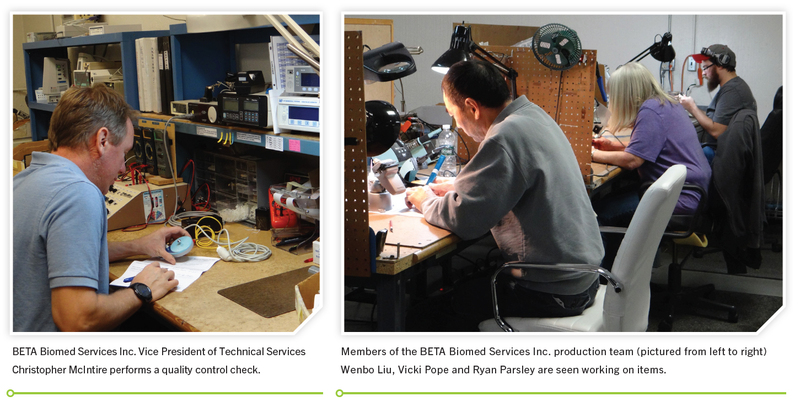 Flower: BETA Biomed Services Inc. takes pride in the quality of goods and services provided to our customers. Our objective is to achieve conformance to regulatory and customer requirements. We are committed to producing quality rather than quantity. To accomplish this objective, we adhere to a preventative quality system that focuses on the identification and solution of problems at the point of occurrence thereby eliminating them from the final product. We are committed to maintaining the effectiveness of our quality system. 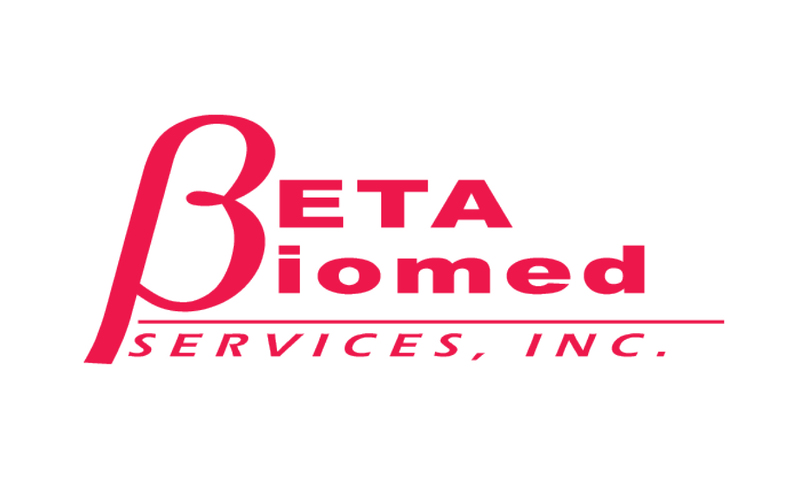 Q: Is there anything else you want readers to know about BETA Biomed Services Inc.? Flower: In order to fulfill our dedication to quality, we incorporate FDA Quality System Requirements (CCMP, CFR21) and international quality standards (ISO 14971, ISO 80601-2, ISO 13485 and MDD93/42EEC) in all areas of our facility. It does not matter whether it is repair or manufacturing, we have the same quality standard throughout the building. We are a registered Device Manufacturer with the FDA and are ISO 13845 accredited. We also believe strongly in working with charities to give back to the community, both local and international. We have worked with the Luz Fund, Samaritan’s Purse, Assist International, International Aid as well as our local EMS to name a few. To learn more, visit betabiomed.com.